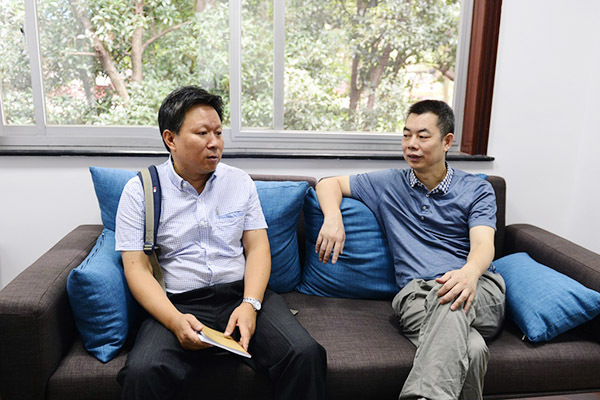 On September9th, President Jiang Hongxin and Vice-president Jiang Xinmiao held a farewell meeting with Chen Mingshu, associate professor with liberal arts college of HNU, sending him off to the Confucius Institute at WonkwangUniversity as the new Chinese dean . President Jiang pointed out that the Confucius Institute at Wonkwang University, a research-oriented Confucius institute, is co-managed by HNU, Hunan Universityof Chinese Medicine and Wonkwang University. The dean shoulders the expectation of the two Chinese universities and the responsibilities of establishing and promoting an outstanding research –oriented Confucius institute. President Jiang further emphasized that as the dean of a Confucius institute, he has to fulfill the political tasks, and at the same time manages the school well within the scope of local law and regulations with a high degree of politicals ensitivity. While Confucius institutes take an important role in spreading andp assing on Chinese culture, dean of an institute need to fully respect local culture, local tradition as well as the regulation of cooperative universities.As a bridge, Dean Chen should communicate with HNU and the Confucius Institute effectively, facilitating the exchanges and cooperation between two sides.While working abroad, the dean should keep close contact with HNU. 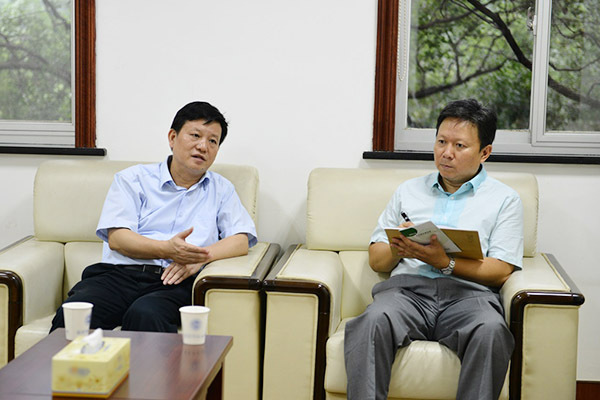 President Jiang also assured him that HNU will give him an all-out support to his work. Two requirements were proposed by vice-president Jiang; one the one hand, Dean Chen should enhance the relation between HUN, HUCM, and WKU, serving as a bond among the three universities, while maintaining a good relationship with the Korean dean of the Confucius institute. One the other hand, Dean Chen should keep inmind that a Chinese dean represents the national image to some extents, so he should strictly abide by the foreign affair disciplines. Vice-president Jiang hoped that after Chen takes office, he would spark new ideas, develop the Confucius Institute at Wonkwang University as an outstanding one with uniqueness,and facilitate cooperative and exchange programs of teachers and students. Dean Chen briefed the two leaders on his internship at the Office of Chinese Language Council International (Hanban), and thanked them for their instructions. He promised that he would work hard, and make the Confucius Institute at Wonkwang University a unique one characterized by Chinese medicine and Chinese culture. Tang zhongqiang, vice director of the Office of International Exchange and Cooperation, also attended the meeting.